Virtue Technologies announce their fundraising total as they reach the end of their year long charity support. 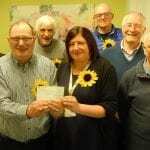 The Sun and Sector Royal Arch Chapter, part of the Freemasons of Workington have made a generous donation which will help us buy a digital tablet to make Gift Aid declarations easier for our supporters. 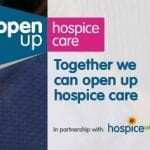 We're joining hospices across the UK to support the Open Up Hospice Care campaign aimed at widening access to the vital support hospices provide for people with life-limiting conditions and those who care for them. Cockermouth based company James Walker will be headline sponsor for our brand new fundraising event for 2019 – KAPOW! Superhero Challenge. 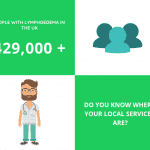 We offer a specialist Lymphoedema service which provides assessment, delivers appropriate treatments. Our team supports and advises patients, their families and carers in West Cumbria. We are the only provider of this service in our area.